Martinez has a sense of humor and has a way of giving it to many ofhis characters. This is the third book of his that I've read. I will admit the first was and still is my favorite, Gil's All Fright Diner, but I enjoyed his other book, In the Company of Ogres too. 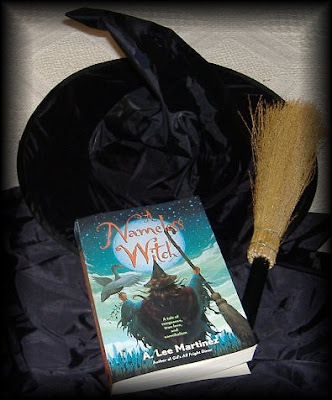 In this book he's made a beautiful hag of a witch (with no name), a demon duck named Newt, a troll named Gwurm and a dark White Knight, who's full title is: Wyst of the West, Defender of the Weak, Destroyer of the Four, Sworn Champion of Decency, Avowed Foe of Evil. She is on a quest of vengeance for the person who had her mentor Ghastly Edna killed. Once the entourage was formed the witch informs Newt... My vision was making more sense with every passing hour. I shared what I knew, well aware it wouldn't satisfy him. "Four trials. Trial by peril. Trial by strength. Trial by combat. And trial by magic." "Trials? Didn't the vision mention perhaps something along the lines of miles or days?" I merely smiled. This book, like his others stays true to form showing Martinez's sense of humor.. be it as it may. But the story itself was not as good as the other books. Or I should say, it wasn't to my liking as much as the other books. I felt a bit like he was running out of material to write about. However, I will always suggest that anyone who wants humor mixed with the likes of vampires to read his first book of Gil's All Fright Diner.. and I've seen where he has a new book out, which at some other time I may give a go at. But for now I am off to reread Cornelia Funke's books of Inkheart and Inkspell because the last book is about to be mailed to me from amazon of Inkdeath! 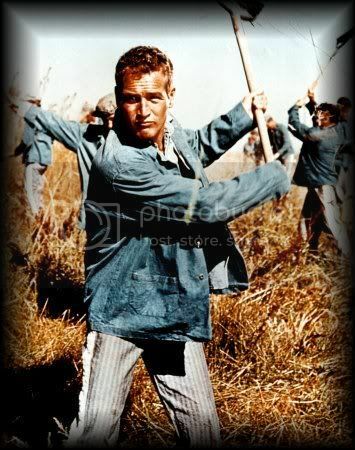 Oh so briefly I will say that Mr Newman was nominated 10 times for the Academy Award, including eight times as Best Actor, once as Best Supporting Actor, and once for Best Picture. 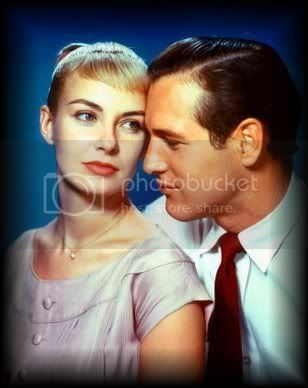 Joanne Woodward and Paul Newman. 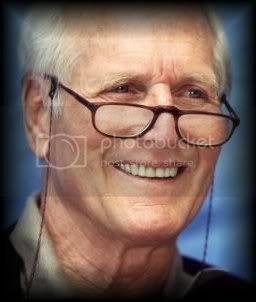 I am not even going to attempt a tribute to this great actor.. but rather I will tell you if you want to read a really good tribute click this link to read one at Naomi's blog of Here In The Hills. She's done a super job... as she always does. 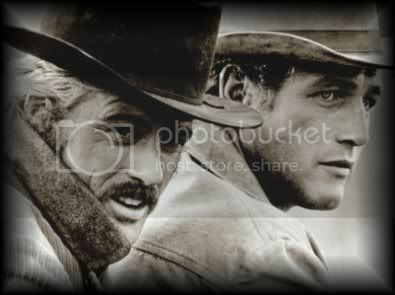 A legend in his own lifetime.. Paul Newman, you, your talent and your giving nature will be missed greatly. 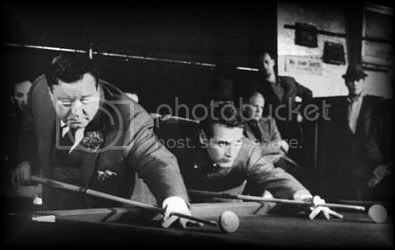 On Sunday I almost always watch TCM channel on tv at least part of the day. This morning when I turned it on I was totally surprised to see that the movie playing was Rebecca! What are the chances of that happening? I mean, I just finished the book less than a week ago and here it is on television! This was the old black and white version directed by Alfred Hitchcock. So fresh in my mind from the book I watched carefully, waiting to see what little things had to be dropped out of the movie to keep it short. I notice very small things deleted for the sake of "time".. but more than that I found myself smiling at how much it did stay with the book. After that I couldn't help but remember and be amazed once again at how Hitchcock played with shadows and creepy music for the scenes being played. Wonderful, wonderful! 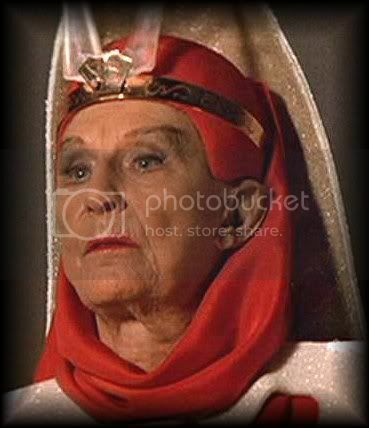 And then of course there was Dame Judith Anderson (quite young) being so sinister and evil as Danver's the maid. To (1984) T'Lar in Star Trek saving Spock's Katra! .... you came a long way baby! Oh, well... I never expected to be talking about Rebecca again, at least not this soon!.. must be fate. A while ago Becky was nice enough to leave a link.. here... where anyone who like the old tv series of Beauty and the Beast can see some of the entire episodes. Thank you Becky!! We've had 3 days of rain and I'm more than ready for the spout to be shut off! But our Fall has arrived. The temps dropped down into the 70 and even 60's at times and the leaves have the beginnings of changing color. October is in a few days.. that means Chiller Theater Show will be back the weekend before Halloween. If my brothers health holds up I will take a break and go to it. First and foremost.. if I can only get ONE.. it would be: yep, Richard Dreyfuss!! Ask me how much I love Close Encounters... ask me how much I love Mr Holland's Opus... ask me how much I love Jaws... then ask me if I love Richard Dreyfuss!.. duh! Second up, if I can afford two autographs is: Lou Gossett Jr.! If you haven't seen the movie Enemy Mine... well you haven't seen a great movie. The only bad part is you won't recognize Lou Gossett.. but he did a magnificent acting job just the same! Third choice for an autograph would be: Sean Astin's mother lol.. Patty Duke ! I am hoping she will have a photo from The Miracle Worker! Fourth up is: Burt Reynolds. I can't tell you how many times I saw Smokey and the Bandit!! I won't lie here though.. I was in love with Jerry Reed! lol.. but Burt has given me many smiles (though Deliverance wasn't one of them) and I'd love his signature in my collection. Fifth: Linda Hamilton. It's true I loved her in Terminator, but she will always be "Beauty" of Beauty and the Beast to me! Guess that catches me up with all the news going on.... 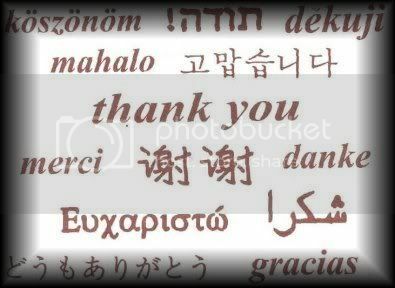 I hope ya'll had a great weekend... and a fantastic week ahead. Though my brother will never really get well, each time he has to go to the hospital and rehab he comes home worse off than before... but.... this time his heart stopped several times and so we are most grateful that he is still alive!! He is now out of ICU (again) and will be shipped to rehab probably tomorrow and the real work begins again. He has to be able to stand on his own before he can come home so that he can get to the potty. Not a big order for many but he is paralyzed on his right side and now after two months in the hospital his "good leg" is weak and he now has a big fear of falling... so even if things go well without any more setbacks this could take a while. We've got our fingers crossed, but we know we can't really relax totally and think there won't be more setbacks .. or worse. Thanks again for all your concerns. I try not to mention it all the time, more for me than everyone else lol..I try to make my time on the computer "free my mind time" though anyone who has been thru stuff like this knows that's not a reality.. but I try !! I thought I would give a little update on my brother.. It all began July 24th when we took him to the doctor and she put him in the hospital to treat cellulitis. Things have gone downhill since then. About 2 1/2 or 3 weeks ago he finally left the hospital after treatment to breath consisting of being on a respirator for 10 days and then a defibrillator put in his chest. (all of that was due to the fact that he stopped breathing several times and had to zap his heart) He went to Stratford Manor which is a rehab place. He was there not quite 2 weeks. Things were not progressing as they had other times. Then one Saturday we were there and he was noticeably worse trying to breath and he had a hard time staying awake. 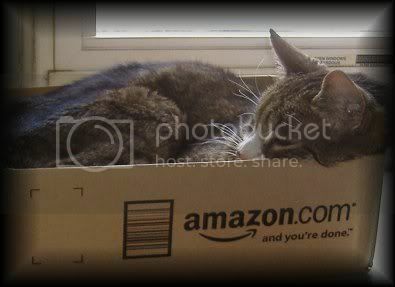 Every few minutes he'd fall asleep and wake again and do it all over again. We went back Sunday and it was worse.. we were trying to help feed him and he'd fall asleep while chewing food. We talked to the nurse there who in turn called his doctor and he was sent back to the hospital. Immediately we saw a breathing and his awareness improve.. this was because they put him back on a steroid stating his one lung lobe showed pneumonia... but he looked and acted much improved... we were hopeful again. Yet not so. My brother (among his many health problems) is diabetic... when on steroids it sends his sugar count sky high. (not good).. but .. no choice. We went last night to see him, as we have been every night since July 24th and we were told he was back in ICU. My heart started pounding. 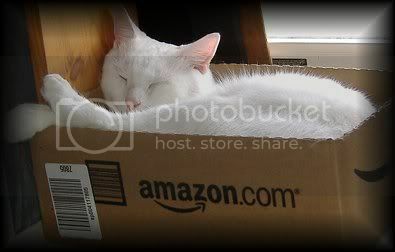 Once there, we found him asleep. David touched his arm a few times to waken him but he didn't waken (he was on monitors and they read ok) We called a nurse who had a hard time waking him but he finally woke (this was after not waking even when one nurse stuck needles him and took blood). Finally, a nurse talked to us and told us why he wound up in ICU.. we thought it was his breathing again and it was.. sorta.. but what happened was his catheter wasn't working and his kidneys were backed up and it affected his breathing.. it took them a bit to figure it all out but once they changed the catheter his breathing got somewhat better right a way. He probably will be sent back to a normal room today... and then it's back to rehab. So... my RIP Challenge is about as official as it can get.. THE SECRETS OF the past meet the shocks of the present. Aslaug is an unusual young woman. Her mother has brought her up in near isolation, teaching her about plants and nature and language—but not about life. Especially not how she came to have her own life, and who her father might be. When Aslaug’s mother dies unexpectedly, everything changes. For Aslaug is a suspect in her mother’s death. And the more her story unravels, the more questions unfold. About the nature of Aslaug’s birth. About what she should do next. About whether divine miracles have truly happened. And whether, when all other explanations are impossible, they might still happen this very day. Addictive, thought-provoking, and shocking, Madapple is a page-turning exploration of human nature and divine intervention—and of the darkest corners of the human soul. When I began this book I wasn't sure I'd like it. Here was a mother with her 15 yr old daughter searching in the fields for plants for eating, and for medical reasons.. it seemed strange. But it did have the one thing that will have me keep reading "just a little more" to see if it gets better... it had very short chapters! I was slightly confused at first, every other chapter had our protagonist, Aslaug, on trial. First it was because it was thought she might have had something to do with her mothers death, and then, because she was a lone survivor of a fire in which relatives died, she was thought to have poisoned them and set the fire. The book alternates chapters between Aslaugh's story and the trial. The trial generally was only 2 pages or so but continued to set the stage for the next chapter. 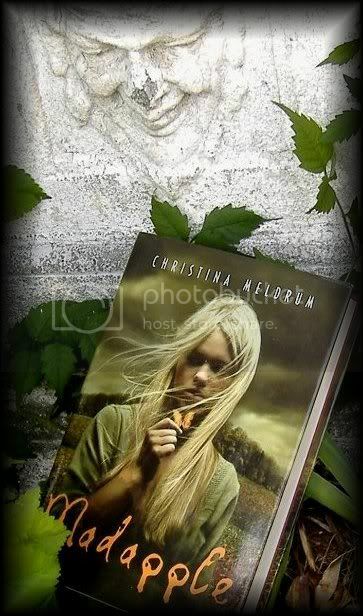 It was different.. and it was captivating because you wanted to understand what this child had been through and you want to see how the trial turns out, and those very short chapters makes it possible to read, "just one more chapter" every time. This book would not be for everyone. Much of the book is surrounded in religion and religious beliefs (and non religious beliefs) and may put some people off to reading it. I did found it quite a strange book. It held my interest enough to read the entire book, but it will not be one that I will want to read again one day. I don't use the star system to say how much I like or dislike a book but in this case I guess I would give it 3 out of 5 stars. This concludes all Three Perils that Carl has set for the RIP III Challenge for this year!! I was never one to read aboutvampires and werewolves and such (and I'm still not) but thanks to Carl's Challenge I have discovered that I do enjoy Gothic Mystery's (is there such a thing??) 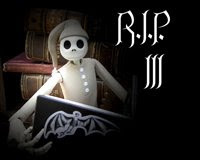 Books like The Thirteenth Tale and even some light comedy books like Gil's All Fright Diner. This year found me enjoying The Historian and Rebecca... sometimes I surprise even myself!! Most recently, if I read a book that was once a movie that I had seen, more than likely , a number of times, I seem not to enjoy the book so much. 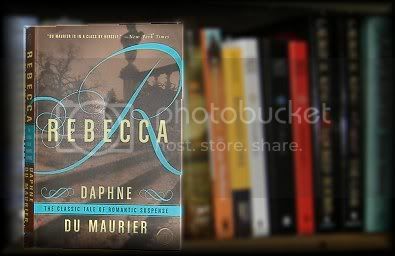 This is NOT the case with Rebecca by Daphne Du Maurier. At certain parts in the book I did find that I got a mental picture from the movie, which was an enjoyable addition to reading the book. This was a great book for the RIP challenge. 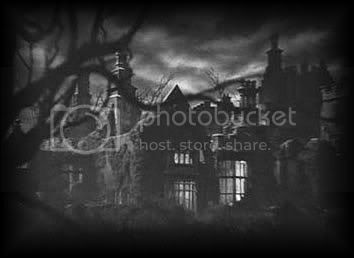 It surely had that Gothic feel to it, and if the maid, Mrs Danvers, doesn't creep you out.. well then you don't know creepy! Excerpt: Then I heard a step behind me and turning round I saw Mrs Danvers. I shall never forget the expression on her face. Triumphant, gloating, excited in a strange unhealthy way. I felt very frightened. 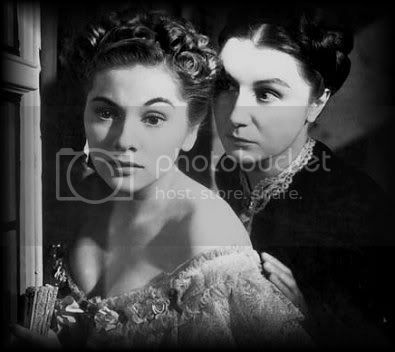 (a bit later:speaking of mrs Danvers) She took hold of my arm, and walked me towards the bed. I could not resist her, I was like a dumb thing. The touch of her hand made me shudder. And her voice was low and intimate, a voice I hated and feared. 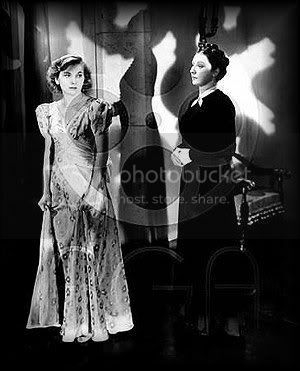 (more from the book:) Mrs Danvers came close to me, she put her face near to mine. "It's no use, is it?" she said, "You'll never get the better of her. She's still mistress here, even if she is dead. She's the real Mrs de Winter, no you. It's you that's the shadow and the ghost. It's you that's forgotten and not wanted and pushed aside. 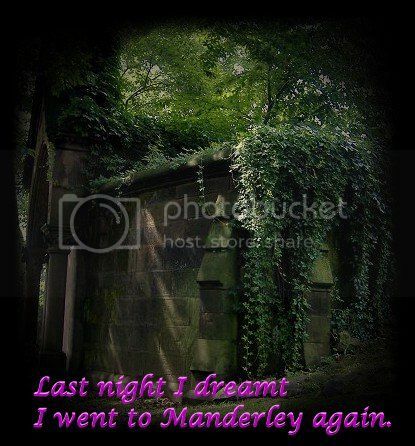 Well, why don't you leave Manderley to her? Why don't you go?" She pushed me towards the open window. I could see the terrace below me grey and indistinct in the white wall of fog. "Look down there," she said. "It's easy, isn't it? Why don't you jump? It wouldn't hurt, not to break your neck.. It's a quick kind way. It's not like drowning. Why don't you try it? Why don't you go?" I don't think one can say enough about this book. There's love, there's deception, there's mystery...and then there's Mrs Danvers, making sure Rebecca remains in every room on every chair in the house..... it just has it all, and I believe you will find that once you begin to read this book, that you will not want to put it down. I would recommend both the book and the movie for a good read and a good movie to watch . oh wow! Ladytink has taken it upon herself to gift me with yet another award! Ladytink and I do share a love of the old movies. I find myself amazed (but joyed) that such a young lady can have such a love for the old, OLD movies! I think it's pretty unusual, unless one has a desire to do some sort of work that deals with the movie industry... 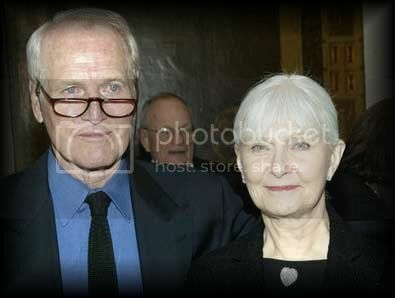 But if you read her blog you will see that she truly enjoys the movies and the stars of days gone by. May we never run out of movies to enjoy! Tink has awarded this to a number of her favorite blogs so check out her blog to see who else got this great award!! I am to pass it on but I have so many blogs/ journals I read on a daily basis that it would be just wrong of me to try to pick a few as favorites. If you know I read your blog/ journal.. then you know I would vote you in for this award! So... did everyone feel the change in the weather yesterday when Fall arrived?? It's been quite cool here in New Jersey, so I can say we felt it (and are feeling it) right now! I do love the temps in the 70's so there are no complaints here! I'm sure there will be many when Winter arrives, but for now it's a welcome relief. 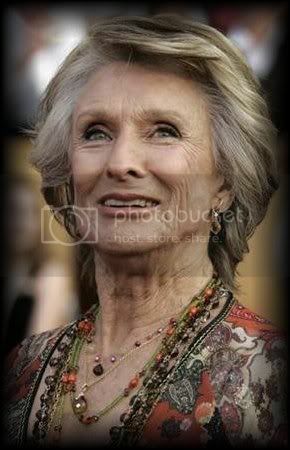 Ok, now tell me... how many people missed seeing 82 year old Cloris Leachman dance on Dancing With The Stars? Not only can she still dance in high heels at this age, but she hasn't lost one wit of her sense of humor! If you think she doesn't know she can't win you'd be wrong.. but she sure is having fun trying!! She's already outdone me and she has nearly 20 years on me! I've always enjoyed Cloris.. among her achievements are: an Oscar for The Last Picture Show 1971 (a Peter Bogdanovich movie) also 9 Emmy's and a Golden Globe.. not too shabby! All in all Dancing With the Stars was a good show.. sorry if ya'll missed it.. 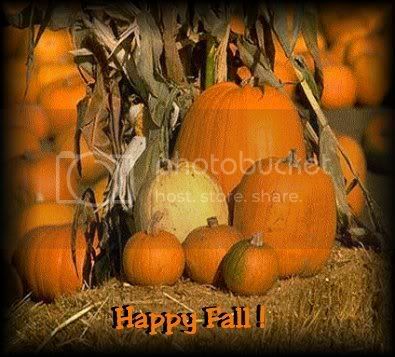 I hope you have a Happy First Full Day of Fall ! Every so often, movie studios would make a movie to show off their "stable of stars". This was back when the studio's owned their actors and actresses. Sometimes a simple movie was made just to show off the stars.. 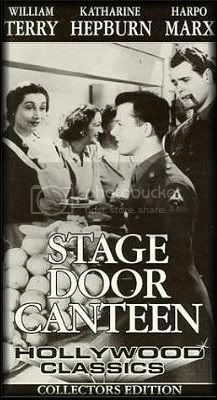 Stage Door Canteen filled that bill, and kept in mind we were still at war at the same time. There were so many stars in this movie I gave the though to finding a photo of each of them and I would put it next to their names... then after I found a number of photo's I realized what a huge post this would be.. so, I decided not to get photo's of everyone. Once again.. this is one of those old movies that not everyone watches (but should). Most of this cast just did cameo appearances but the fact that they put so many of them in is amazing. Many of you will scroll down and maybe recognize a name or two here and there but if not an avid old movie watcher will not know many of them. Have you ever seen such a list of names in one movie?!? I laugh at the thought of a studio trying to make a movie with this many stars in it today! Heh... never gunna happen! To bad, it would be neat seeing a movie that had scads and scads of today's stars doing cameo's in it, just to have them all in one movie! 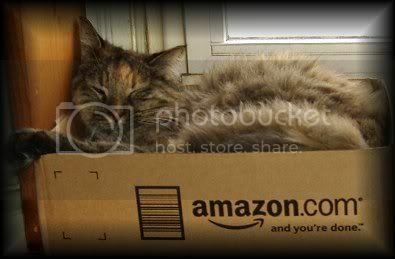 .... did you know that Amazon gives away a free catbed with every purchase?! Sly nods to spooky literary spinsters—Henry James's Miss Jessel and Dickens's Miss Havisham—set the tone for this confident debut, a gothic suspense novel with a metatextual spin. Gerard Freeman grows up on the windswept southern coast of Australia in the late 20th century with a controlling mother strangely silent about the details of her childhood in England. 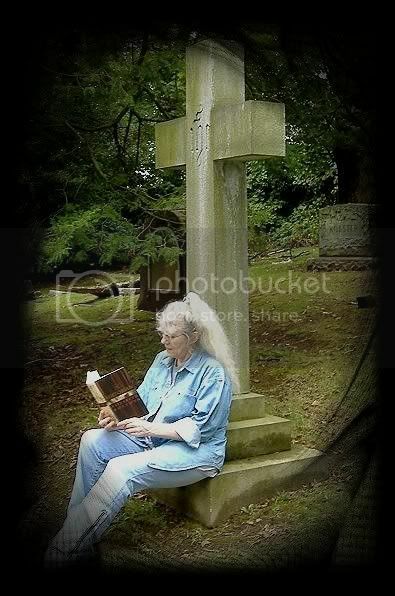 His only solace is steadfast English pen friend, Alice, to whom he confides everything. What was Gerard's mother, Phyllis, hoping to escape when she left England? The protagonist slowly pieces together his mother's past with the aid of short stories written by his great-grandmother, Viola. These cunning tales, filled with supernatural occurrences and séances, are seamlessly embedded in the main narrative, offering Gerard—and readers—enticing clues into his troubled family's history. After Phyllis's death, her newly liberated son travels to England, hoping to learn more and to pursue elusive Alice. As he searches through the country house his mother inhabited long ago, Gerard finds past and present fusing in horrifying fashion. In the hands of a lesser novelist, sustaining several plot lines might have been difficult. But the novel links textual investigation and sublimated passion, building to a satisfying, unexpected ending. Ok, so.. remember who is writing this.. me! 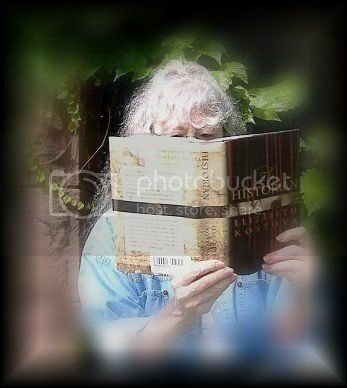 This is "me outside of my comfort zone".. this whole RIP challenge is outside my comfort zone.. but each year I have enjoyed, at least, some of the books I have read. Which brings me to the new Peril to read 2 more books.. 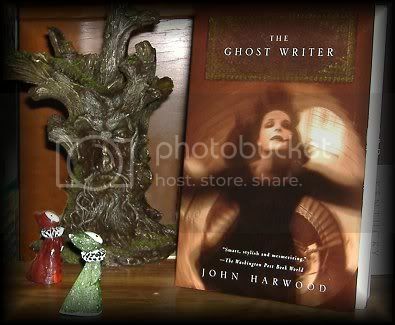 The Ghost Writer, by John Harwood... ok so... overall, I liked it. I very much enjoyed the story of Gerard and his finding out about his family history. Yes, that part I enjoyed very much. I was not thrilled with the "stories" in between though... it bothered me to be deep into discovering something about Gerard and his family only to be torn away to read a story written by "grandma".. I know it's me.. you have to lead me into something gently and unknowingly, if you tear me away from something I am enjoying into something that (at the time) has nothing to do with the initial story.. well.. it makes me want to skip over it! And I will not lie.. I did a bit of skipping! The funny thing is.. it didn't seem to hurt the initial story at all ! And that initial story.. well.. it's a good one! I think many will like this book more than I did. I think John Harwood put the "spook" in "spookey" when it comes to ghost stories! I am not saying I didn't enjoy the book.. just that there were parts I wasn't thrilled with.. (remember this is not in my comfort zone!) but as for the rest of it, I had a hard time putting it down. 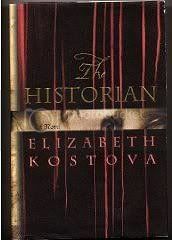 If your pulse flutters at the thought of castle ruins and descents into crypts by moonlight, you will savor every creepy page of Elizabeth Kostova's long but beautifully structured thriller The Historian. The story opens in Amsterdam in 1972, when a teenage girl discovers a medieval book and a cache of yellowed letters in her diplomat father's library. The pages of the book are empty except for a woodcut of a dragon. The letters are addressed to: "My dear and unfortunate successor." When the girl confronts her father, he reluctantly confesses an unsettling story: his involvement, twenty years earlier, in a search for his graduate school mentor, who disappeared from his office only moments after confiding to Paul his certainty that Dracula--Vlad the Impaler, an inventively cruel ruler of Wallachia in the mid-15th century--was still alive. 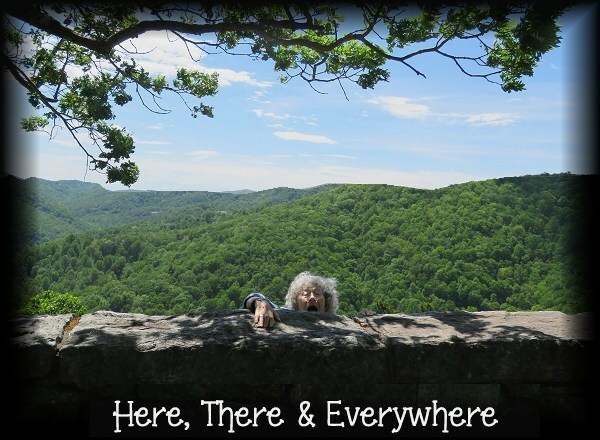 The story turns out to concern our narrator directly because Paul's collaborator in the search was a fellow studentnamed Helen Rossi (the unacknowledged daughter of his mentor) and our narrator's long-dead mother, about whom she knows almost nothing. And then her father, leaving just a note, disappears also. As well as numerous settings, both in and out of the East Bloc, Kostova has three basic story lines to keep straight--one from 1930, when Professor Bartolomew Rossi begins his dangerous research into Dracula, one from 1950, when Professor Rossi's student Paul takes up the scent, and the main narrative from 1972. The criss-crossing story lines mirror the political advances, retreats, triumphs, and losses that shaped Dracula's beleaguered homeland--sometimes with the Byzantines on top, sometimes the Ottomans, sometimes the rag-tag local tribes, or the Orthodox church, and sometimes a fresh conqueror like the Soviet Union. In part one of the book, we follow a father and daughter as they discuss the fact that it is believed that Dracula is still alive. As the daughter digs for information, both from her father, and from libraries, and from letters left by Mr. Rossi, her father seems to be coming weaker until one day he simply disappears. We are in search of: Dracula! I was 1/3 of the way thru the book and it was turning out to be pretty good...I continued to read.. on.. and on... and on... and....on. By part 2, I gave myself some atmosphere while I read Rossi's letters of his search for Vlad Dracula, while his daughter Helen and Paul searched for him. 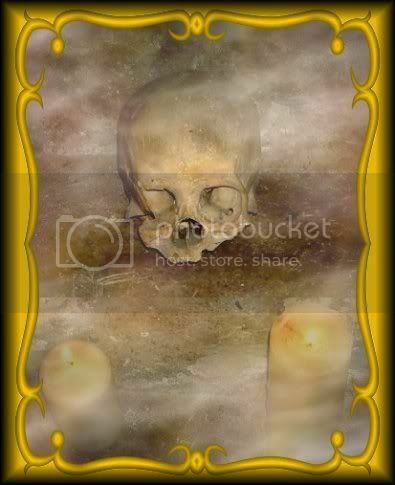 By now it is believed that Rossi, who mysteriously disappeared, would be found at Dracula's tomb... I read on. I remembered Bram Stoker's hero setting off into the Transylvanian forests... a fictional version , in any case... by stagecoach, and almost wished we'd departed at evening, so that I too might have glimpses of mysterious fires in the woods, and hear wolves howling. It was a shame, I thought, that Georgescu had never read the book, and I resolved to try to send him a copy from England, if I ever got back to such a humdrum place. Then I remembered my encounter in Istanbul and it sobered me. This very large book was more interesting than I thought it would be. I was surprised at how quickly I was reading the chapters. To keep things interesting we were also reading a love story. I can't say I expected a love story in the middle of a story in which Historians were searching to Dracula! Snippit : upon reaching what they believed was Dracula's tomb: Helen drew back, white lipped in the candlelight, and I fought the urge to take her arm and run up the steps. "Helen", I began softly, but there was nothing else to say. I picked up the dagger and Helen slipped a hand into some part of her clothing... I never did see where... and drew out the tiny pistol, which she put an arm's-length away, near the wall. 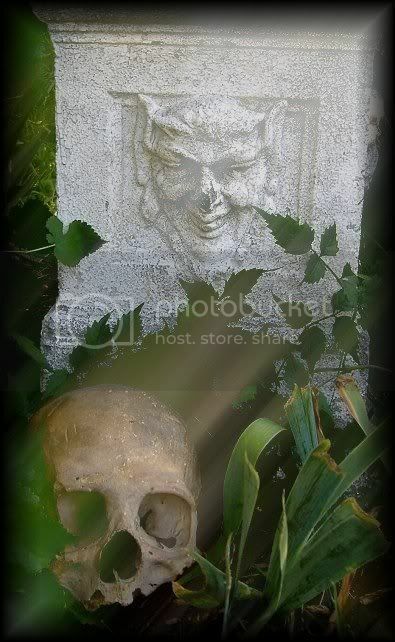 Then we reached under the edge of the gravestone and lifted. The stone slid halfway off, a marvelous construction. We were both shaking visibly, so that the stone all but slipped out of our grasp. 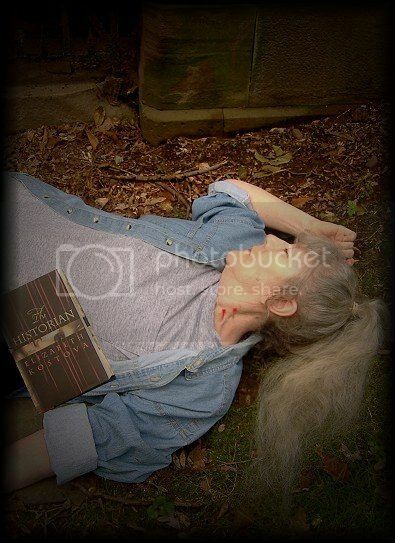 When it was off we looked down at the body inside, the heavily closed eyes, the sallow skin, the unnaturally red lips, the shallow, soundless breathing. It was Professor Rossi. Did I now believe in Dracula? Despite the fact I seem to be sleeping more than normal.. This book was an enjoyable read, and I think you'd enjoy it too! This completes my RIP Challenge Peril the First, to read 4 books... but since it's not even October yet I decided to "continue" and try now for Peril the Second, to read Two books of any length, from any subgenre of scary stories that you choose... at least I will try... I mean.. well.. if I can shake off being so sleepy!